Tour along White Beach and take in all the tropical sights and sounds while you enjoy the spectacular arrays of color of the Boracay sunset. Visit the famous Puka shell beach and take a stroll on the beach, swim in the azure waters or just relax with a fresh coconut enjoying the sun. 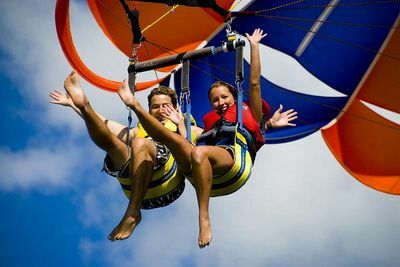 Boracay's Number 1 Must Try Adventure! 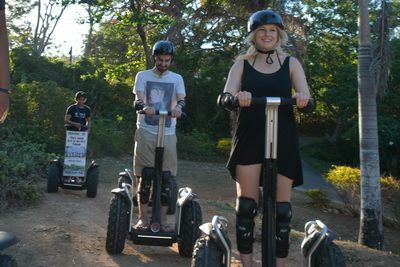 Travel off the beaten track in a fun and eco-friendly way in Boracay! 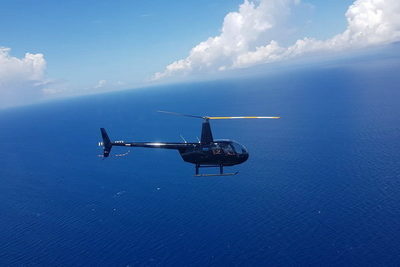 Have a 10-minute adrenaline-filled experience of touring the island by helicopter! 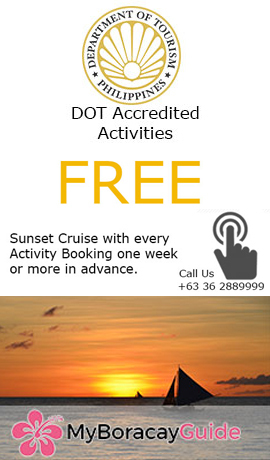 If you’re trying to discover things to do in Boracay, we are ready to help with the widest selection of activities available. If you can't find what you're looking for, send us an email. We have been assisting travelers, adventurers, and vacationers alike for a decade. Let us help you bring your vacation into focus! 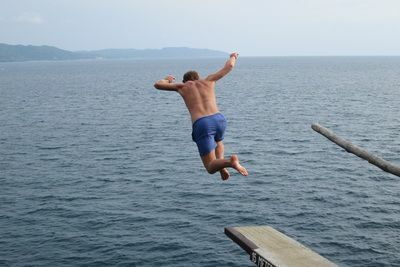 Our activities include everything from budget-friendly activities to exotic high-end adventures. Solo travel? sure. A family outing? No problem! We are up to date for 2017 & always finding the newest activities to share with our guests. Our pages are organized by categories in order for you to navigate easily through our site. You are bound to find something you are highly interested in doing! Boat Charters, Eco Tours, Island Hopping Tours, Land Tours, Romantic Activities, Water Activities and other excellent adventures - One click away. For Boracay’s must try activities, you should definitely try scuba diving. 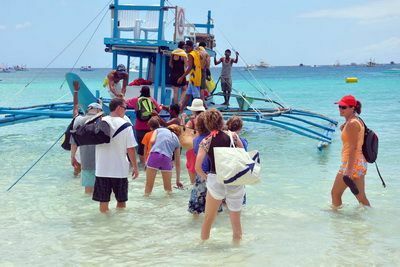 Boracay is unique in the fact that you can easily access the dive sites from the convenience of White Beach. This means you can go for a quick dive and be back in time for lunch. 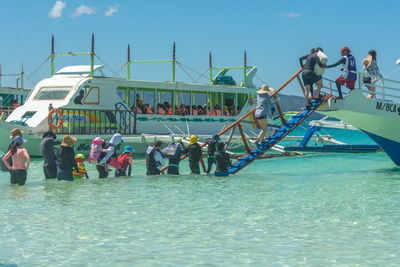 Island hopping is another activity you should try since you can easily cruise around and visit neighboring islands; all while snorkeling, cliff diving or just enjoying the ocean breeze and crystal clear waters. 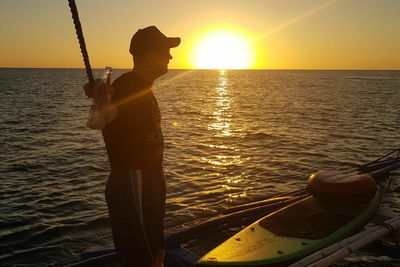 Paraw sailing at sunset is another highly rated activity, cruising on a wind propelled local sail boat with your toes feeling out the warmth of the water. It’s always important to try and understand the culture of the countries you visit. 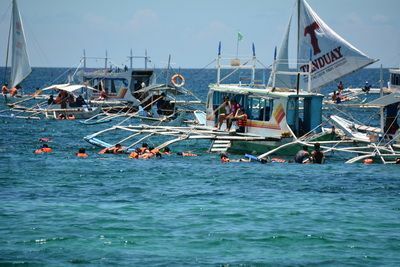 With this in mind, many vacationers try a trip with Mainland Adventures to Base Camp only 45 minutes from Boracay. Here you can relax next to a river and try some amazing local, traditional jungle cuisines you can’t find in Boracay. Dishes like Banana heart salad or a local fern salad collected wild from the surrounding area are guest favorites. Tubing and cave tours are also available for when you’re feeling more adventurous. Best of all, the local guides are there to showcase the wonderful Filipino hospitality where everyone is made to feel right at home. 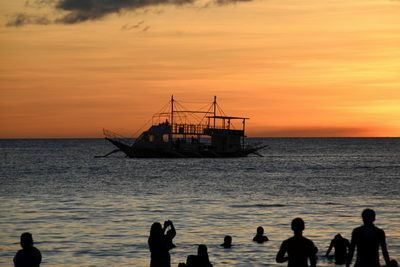 Budget Boracay activities include banana boating, which is great for children and those looking for a mild dose of adventure. The pub crawl has great value and bang for your buck if meeting new friends and getting a buzz on is your thing. For a more luxurious adventure in Boracay, try the Luxury sailing aboard a gorgeous catamaran yacht. Some choose to set up a special romantic encounter on a private beach by contacting our concierge service. There is no task too small. We aim to please and can do anything from a helicopter wedding proposal to finding a baby sitter so you can enjoy a romantic evening alone. There are numerous award-winning spa treatments to try in Boracay such as the Mandala Invigorating Package or the famous King and Queen Package by Bella Isa. 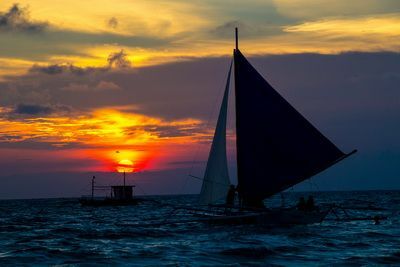 It’s always best to book your Boracay activities in advance so you can secure the schedule you desire as some activities tend to fill up quickly and will be fully booked or the peak times will be unattainable. Sunset is always the best photo op time for many activities. Our friendly and well-trained tour guides will pick you up from your hotel and bring you to your adventure to ensure fun-filled adventures free of confusion and pressure. We take pride in providing positive guest experiences to everyone who comes to Boracay. This is our home and we are proud to showcase our beautiful island paradise. Let us help you enjoy your vacation to the max by giving you simple solutions. Take time to familiarize yourself with our site and let us know if you have any questions. Tap on the box in the lower right side of your screen for a live operator.